Looking for Real Estate Agents who puts you first? Whether you are buying or selling a home or property, it is the lifestyle, needs, desires and budget that sets the course of your transaction. 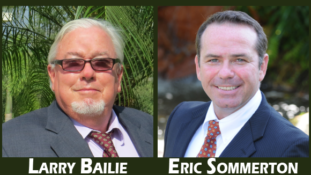 Team Bailie is not afraid to dive deep into these elements in order to harvest the perfect outcome in every transaction. We creatively go above-and-beyond to ensure transactions. So, spend some time with us; feel free to call or email us with questions and comments — no matter how detailed or quaint — we are happy to assist you. Team Bailie proudly supports the Sunshine Kids Foundation (SSK). SSK is a non-profit organization dedicated to children with cancer. Established in 1982, SSK provides positive group activities and emotional support for young cancer patients. SSK provides a variety of programs and free events for kids receiving cancer treatment. The Foundation is a 501(c)(3) classification and is funded solely by contributions from corporations, foundations and individuals. Tax-exempt ID: 76-0020802.http://www.sunshinekids.org Visit the Sunshine Kids website for more information.